Douglas “Ray” Williams, passed away Thursday, April 11, 2019. Funeral service with be 2:00 PM, Wednesday, April 17, 2019 at Kennedy Funeral Home. Burial, with Military Honors will follow at Pine Rest Cemetery. The family will receive friends prior to the service beginning at 12:30. Ray grew up and attended school in Greensboro, NC. He entered the United States Army, achieving many goals, awards, accomplishments and traveled the world. Among his achievements are: National Defense Service Medal, Republic of Vietnam Cross of Gallantry with Palm, Combat Infantryman Badge, Air Medal, Overseas Service Bar, Army Commendation Medal, Drill Sergeant Badge, Good Conduct Medal, Meritorious Service Medal, Vietnam Service Medal, Republic of Vietnam Campaign Medal, Southwest Asia Service Medal, Bronze Star Medal, Army Service Medal. 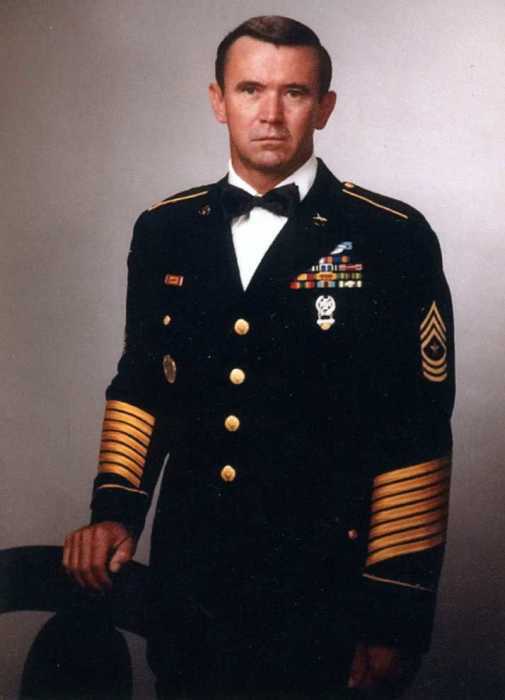 Ray served during the Vietnam War and retired from the Army as a Drill Sergeant. Ray was preceded in death by mother: Dorothy Willams; grandparents: Jim and Blanch Brown. Ray is survived by daughter: Christy Willis and husband Jim; his grandchildren, who were his heart and soul: Mary Catherine Willis, Jay Willis; sister: Lucy Swofford and husband Wayne; nephews: Milke, Jason and Brad Swofford. Memorials may be made to: ROTC program, Union Grove High School, 120 East Lake Road, McDonough, GA. 30252. Kennedy Funeral Home is honored to serve the Williams family.